Fitted with dual wheel casters for easy mobility, this delightful Safco XTC Plastic Nesting Chair makes moving from work station to work station a breeze. Its arms are integrated into its design and the back features premiere ventilation and a comfy contour. Its seat is contoured and form fitting as well for great comfort. 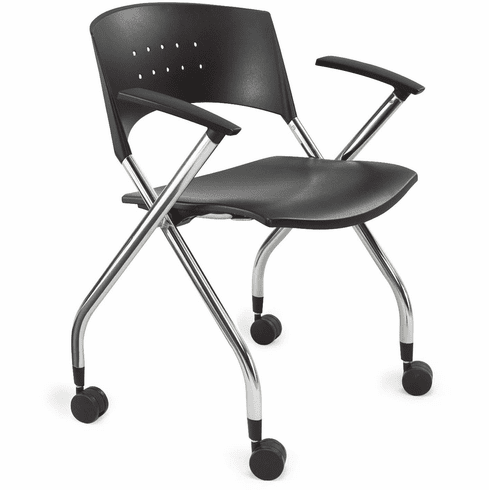 A great item to have when a spare chair is needed in the office or workshop.